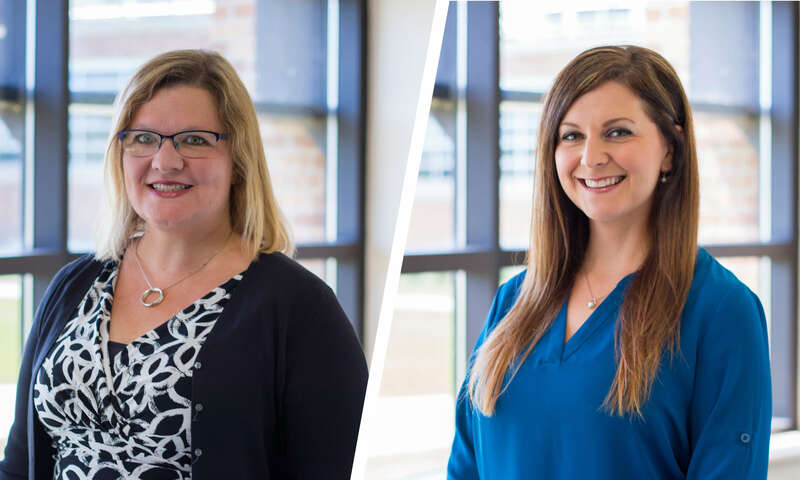 Two Concordia University Wisconsin School of Health Professions professors have been selected to receive honors through the Council of Academic Programs in Communication Sciences and Disorders’ (CAPCSD) awards program. Elizabeth Eernisse, PhD, CCC-SLP, assistant professor of speech-language pathology, was chosen to participate in the 2019 CAPCSD Leadership Academy. The academy is designed to help individuals considering academic leadership positions, or who are newly engaged in academic leadership, develop their knowledge and skills in the area of leadership. The fifth annual CAPCSD Leadership Academy will be held April 9-10, 2019, in San Diego. Angela Haendel, PhD, CCC-SLP, Clinic Director for CUW’s Speech, Language & Hearing Clinic, was selected to participate in the CAPCSD Clinic Director Basic Training. In April, Haendel will also travel to San Diego to participate in this program designed for faculty with limited experience as a clinic director. Concordia will look to officially launch its speech-language pathology master’s program this summer when its Alpha Class begins its first classes. The two-year master’s program is designed to prepare competent speech-language pathologists who will provide quality Christian care in a respectful, culturally sensitive, caring, and knowledgeable manner. Concordia already offers a Bachelor of Science in Communication Sciences and Disorders degree, which paves the way for an advanced degree in speech-language pathology. Soon students who enroll in the program will have the advantage of a brand new, state-of-the-art clinic at their access. The Speech, Language & Hearing Clinic will be housed in The Robert W. Plaster Free Enterprise Center, which is currently under construction and slated for completion for the start of the 2019-20 academic year. An uncommon Advent: What arrives in your life each day?